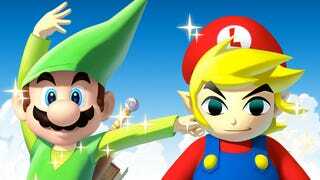 The Best, Weirdest Mario/Zelda Crossovers | Sometimes the list concept can seem good but doesn't hit big with readers. That's the case here, as Andras did a fine job showing the surprisingly large number of appearances of Mario and Zelda stuff in each other's franchises. We even had a terrific top image by one of Gawker's talented artists, Sam Woolley (I put it atop this post, too!). We'll likely bump this up again, because I think it's a good post. It probably just didn't have the need-to-read-this-now urgency that would compel a lot of people to click on it the first time out. The Newest Amiibos Are Sold Out, And Fans Are Upset | It can be tricky to use social media reaction as a barometer for how people are feeling, trickier still to write a story about social media reaction to another piece of social media. You can wind up in a cycle of outrage that can distort a small thing into making it seem like a big thing. Here, though, Patrick noticed some interesting discord between what Nintendo was Tweeting about their Amiibo figures and how Nintendo fans were reacting on Twitter. This clash of perspectives matched a lot of what we've seen and heard ourselves from tipsters and with our own eyes and ears. Here Is A Thing That Happens In Bloodborne | This may seem like a weird pick, especially given all the other interesting things we wrote about Bloodborne last week (including this, this and this). I am, however, a big fan of any posts we run that involve our writers simply noticing something unusual in a game that they want to show readers and then showing it to them. An underrated concept. These posts certainly don't change the world, but, to the extent that gaming critics are virtual-travel writers, we ought to be showing the folks back home the wildest and most fascinating sights we see. Highlight Reel 100 | Wednesday's episode of Highlight Reel was the 100th installment of our recurring series of short videos highlighting the coolest/funniest/craziest things that players are doing in the games they're playing. We've been operating under the principle that what people do in released games is worth a SportsCenter-style treatment, and I'm happy that video editor Chris Person has been able to keep this going for many months. As Chris says at the end, here's to 100 more! Thank you to everyone who has helped Highlight Reel become a success.